Member of the M Gallery family by Accord: Hotel Muse brings to the city its only hotel dedicated to the golden age of travel and the most opulent of art and design and dedicated to the art of pure pleasure. Every element of the interior reflects a devotion to Rama V-era elegance yet with contemporary and sometimes playful twists. 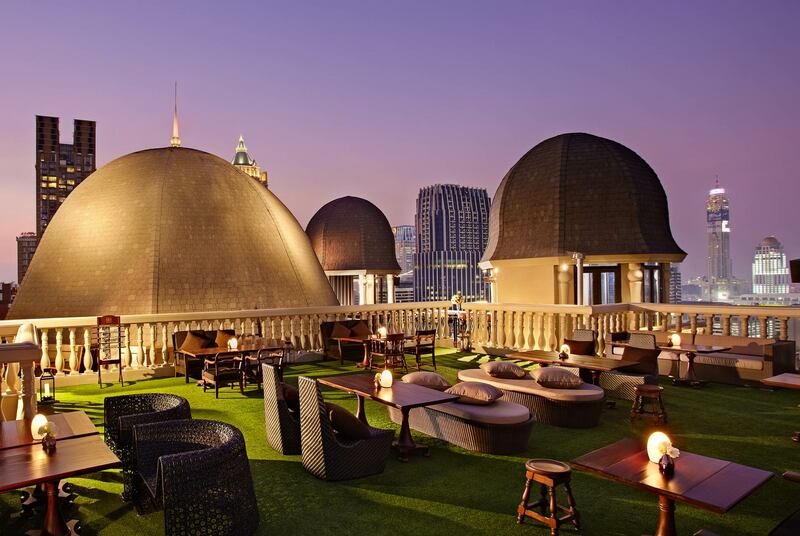 Rising 25 storys above the distinguished residential area of Langsuan Road in the city’s center, Hotel Muse offers 174 lavish guest rooms along with a distinctive array of dining and entertainment venues – unlike anything Bangkok has ever seen. Hotel Muse’s abiding theme is evinced just the same in distinctive food and drink venues like Medici for superb Italian cuisine; Le Salon where presentations of afternoon tea coincide with pours of the city’s best martinis; The Speakeasy, an extravagant, exclusive domain occupying the entire 24th and 25th levels and encompassing a range of venue types including Long Bar and Terrace Bar; and other equally memorable dining and drinking experiences.